When Heather Toulson returns to her parents' cottage in the English countryside, she uncovers long-hidden secrets about her family history and stumbles onto the truth about a sixty-year-old murder. Libby, a free spirit who can't be tamed by her parents, finds solace with her neighbor Oliver, the son of Lord Croft of Ladenbrooke Manor. Libby finds herself pregnant and alone when her father kicks her out and Oliver mysteriously drowns in a nearby river. Though theories spread across the English countryside, no one is ever held responsible for Oliver's death. Sixty years later, Heather Toulson, returning to her family's cottage in the shadows of Ladenbrooke Manor, is filled with mixed emotions. She's mourning her father's passing but can't let go of the anger and resentment over their strained relationship. Adding to her confusion, Heather has an uneasy reunion with her first love, all while sorting through her family's belongings left behind in the cottage. What she uncovers will change everything she thought she knew about her family's history. Award-winning author Melanie Dobson seamlessly weaves the past and present together, fluidly unraveling the decades-old mystery and reveals how the characters are connected in shocking ways. Set in a charming world of thatched cottages, lush gardens, and lovely summer evenings, this romantic and historical mystery brings to light the secrets and heartaches that have divided a family for generations. "Shadows of Ladenbrook Manor" is the first book I have read by Melanie Dobson. The cover of this book is absolutely amazing, and is what drew me to reading the snippit about the book. After reading about this book, I KNEW I had to sign up to review it and I was so excited when i received the email saying i was chosen to review it. I enjoyed reading this book can't wait to read more from Melanie. 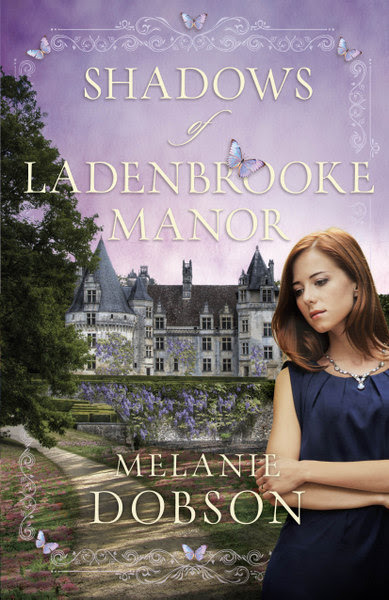 "Shadows of Ladenbrook Manor" is multi-generation story that is told from the different perspectives of everyone involved. This book jumps back and forth from the mid 20th century to present, so we get to see how specific choices effect the different generation. There are so many secrets,twists and turns in this book that you will not want to put it down until you reach the last page. I had only planned on reading a few chapters at a time, as I have major exams coming up for school...only to end up reading half the book in one sitting! This book is packed with mystery, romance, family problems, and other twists that kept me interested until the very end! 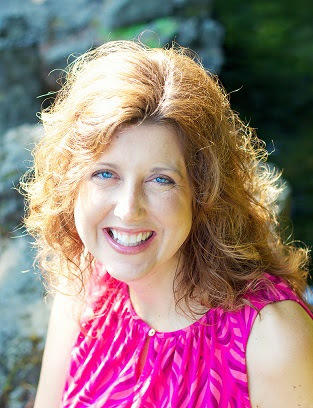 Melanie Dobson is the award-winning author of thirteen historical romance, suspense, and contemporary novels. Two of her novels won Carol Awards in 2011, and Love Finds You in Liberty, Indianawon Best Novel of Indiana in 2010. Melanie lives with her husband Jon and two daughters near Portland, Oregon. I received this book free from LitFuse Publicity in exchange for my honest opinion. I am not required to write a positive review. All opinions expressed are 100% my own.